The Politics of Place explores how territoriality has become a kind of authorship drawing upon the idea that location-based media has transformed the concept of place. The assumption is, that the political actors of a digital society do not simply consist of virtual masses of protesting avatars, clicktivists, followers or denial of service attackers but that the development from the isolated mass media spectator to the post media networker of tactical technology extends virtual forms of social interaction to the streets. Hence, the appearance of places of the political is transformed by hybrid forms of social interaction. Im Zuge der Mobilisierung von Sensoren und Endgeräten ist Interaktion mit und durch digitale Technologien inzwischen jedoch zunehmend sozial integriert und räumlich kontingent (vgl. Döring & Thielmann: Geomedien, 2009). Damit richtet sich die Aufmerksamkeit auf die Schnittstellen zwischen materiellem und digitalem Raum. Diese Verbindung von Daten und Orten entspricht nicht mehr einer Virtualisierung von Raum, sondern basiert auf dem ortspezifischen Handlen von NutzerInnen. Grenzen von Enträumlichung und Entortung wurden beispielsweise dort sichtbar, wo die Beschränkung von Konnektivität die Demonstranten des „arabischen Frühlings“ zwang, traditionellere und stärker ortsgebundene Protestmedien zu nutzen (etwa Mundpropaganda, Flugblätter, Faxnachrichten, Packet Radio). Im Zuge der informationellen Überformung (Augmentation) durch ubiquitous computing und das Internet of things beginnt die Interaktion mit und durch digitale Technologien sich zunehmend vom Konzept des Virtuellen zu distanzieren, weil die Interaktion mit und durch Medien in unser räumliches Handeln integriert wird. Dabei wird immer deutlicher, dass digitale Kulturtechniken unser Handeln nicht nur von der Ortsgebundenheit ablösen, sondern immer mehr auf den Standpunkt Bezug nehmen. Der digitale Medienumbruch virtualisiert also nicht länger die Orte des Politischen, sondern stellt die Vorstellung und Repräsentation politischer Räume überhaupt vor eine Neuverhandlung. 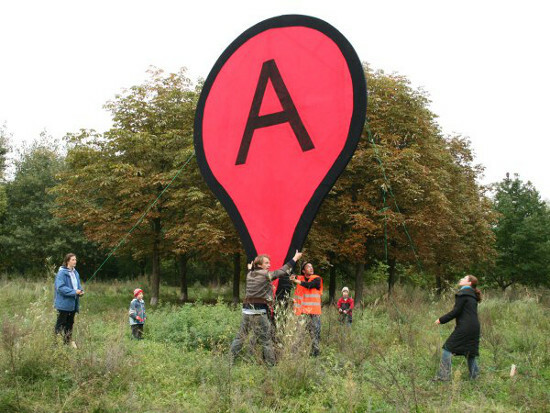 The paper reconsiders the category of space for the forms of political protest, arguing that there is a correlation between the transformation of social interaction and the current turn of the notion of „place“ through location-based media. The book documents the first life-cycle of the Post-Media Lab (2011-2014). Taking up Fèlix Guattari’s challenge, the Lab aimed to combine social and media practices into collective assemblages of enunciation in order to confront social monoformity. It draws together some key essays, images and art projects by the Lab’s participants, as well as a close documentation of its associated events, talks, and exhibitions, to create a vivid portrayal of post-media practice today. “Click Social Activism? A Localisation of Political Participation After Networks﻿“. In: „Plants, Androids and Operators – A Post-Media Handbook“ edited by Clemens Apprich, Josephine Berry Slater, Anthony Iles & Oliver Lerone Schultz. Armchair Activist ist ein kurzer Text über politische Partizipation am Beispiel von Occupy the Internet! im Bildglossar Aesthetics of Resistance. Der Text ist auf hypotheses.org im Rahmen des Projekt The Nomos of Images am Kunsthistorischen Institut in Florenz erschienen. Follow Me was a student mapping-project on tracking and tracing I did as a student at the Institute for Arts and Media at the University of Potsdam in 2008. The aim of the project was to combine technological and artistic elements in order to frame the relationship of intermediality and the archive.